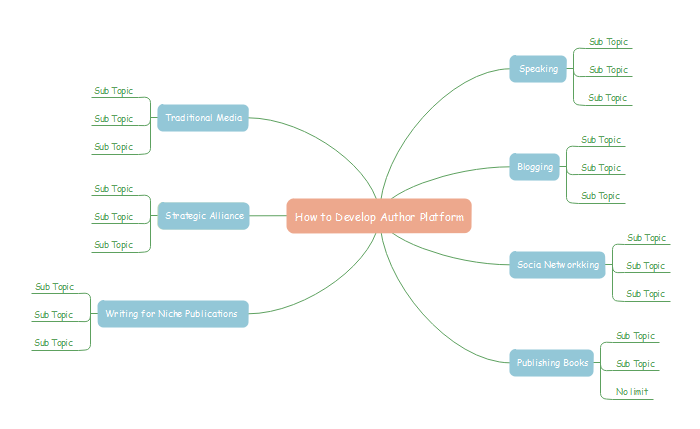 Mind map, as a creativity and productivity tool, has been around for decades, it offers authors simple techniquea for organizing ideas and creating action plans for planning, writing, and marketing books. Looking for a creative boost for your writing project? Miind map is recommended, which harnesses the power of brainstorming and free association to develop an idea or concept. Just download and install this Writing Mind Map Drawing Software on your computer, and then start to mind map your writing plan. On the File menu, click New. 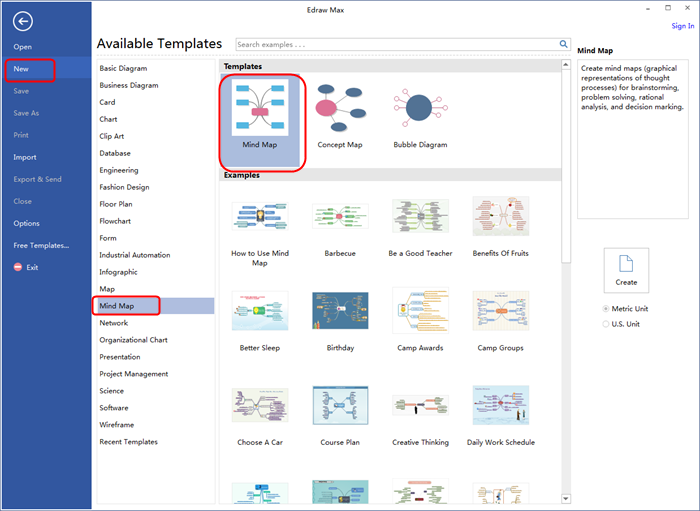 Select Mind Map in Template Categories list and then choose a template. Simply press Insert key the first time to add a pair of Main Idea and Main Topic Shapes. Press Insert more times to add more Main Topic shapes. You can also select a shape and click the floating button to add topic or sub topic. To add text to shapes: double click the shape, a red box shows, you can type contents in the text box now. To add symbols to shapes: there are a variety of symbols such as Numbers, Flag, etc specifically designed for mind maps, just drag them onto shapes. Notes: you can also insert pictures from your computer to shapes. Choose the Main Topic shape and then hit Mind Map Theme on the Mind Map tab, select a layout style you prefer. To customize your mind map, simply free download it to have a try.